Many people have heard of a will contest, where heirs challenge a will on the grounds that it is not valid. If successful, a judge will refuse to admit the will into probate, and the estate assets will be distributed according to a prior will or the state’s intestacy rules. Trusts can also be challenged in court. In this post, we will explain the many different types of trust contests. If you are drafting a trust, or if you are charged with administering one, then this article is for you. Just as a person must be of sound mind to make a will, they need capacity to create a valid trust. Capacity generally means that the person understands what assets they own and what they are doing with them by creating the trust. If a loved one was suffering from dementia or otherwise very sick when the trust was created, then it might be invalid. The trust must reflect the true wishes of the person who created it (called the grantor or settlor). Sometimes, however, vulnerable people are preyed upon to create a trust or to change the terms of an existing one. For example, a loved one might be under the care of their oldest child. Suddenly, the loved one changes their trust to leave all assets to this caretaker. In this situation, it is highly likely that the grantor was coerced into changing their trust, which no longer reflects their true wishes. Undue influence can take many overt forms, like threats or actual violence, or it can be subtler, such as denying someone food or visitation unless they do what the caretaker wants. Whenever the settlor’s will is overcome, the trust document should be struck down as invalid. Trusts are legal documents that must be executed according to Florida law. If not, then the entire document could be invalid. Someone might not want to challenge the trust itself but instead want to remove the trustee, who is the person overseeing the trust. If so, then the beneficiary of the trust can sue to have the trustee replaced. Often, it is helpful to show that the trustee breached their fiduciary duties, such as the duty of loyalty or the duty against self-dealing. A trustee who sells assets to benefit themselves and not the beneficiaries has clearly violated their fiduciary duties and should be replaced. Not every trust dispute needs a full-fledged trial. Instead, the parties involved can often resolve disputes outside of court through settlement agreements or modifications. For example, a trust might be modified to better effect the settlor’s purpose. This type of change does not require an adversary proceeding if both trustee and beneficiaries agree to it. Resolving disputes outside of court is often faster and less expensive, but you need an experienced probate attorney who understands the Florida Trust code and other relevant law. 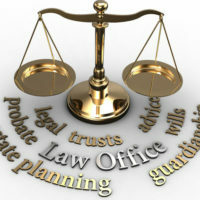 At Millhorn Elder Law Planning Group, our probate attorneys have handled many trust disputes. We are anxious to talk with you about your issue. To schedule a free consultation with one of our lawyers in The Villages, please call 800-743-9732.